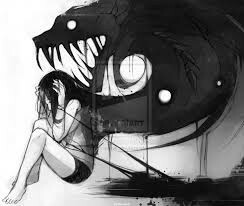 This story is mainly about a girl who is in the wrong part of town is afraid of demons and scary monster popping out at her. In one part of the story she mistakes a dog for a demon. In another part of the story she thought a dark man was out to get her.Then she realized she had powers and thought that the shadow masters would use her to find a magic stone. i believe a younger audience might find this book thrilling and heart racing.